Dhaka, 3 Mar, Abnews: Prime Minister Sheikh Hasina on Saturday said Bangladesh’s position has improved in the world corruption index as the government took various steps to eliminate corruption, UNB reports. “After coming to power in 2009, the government tried to eliminate corruption from Bangladesh. Now Bangladesh got its recognition, Bangladesh advanced two steps in removing corruption," she said. 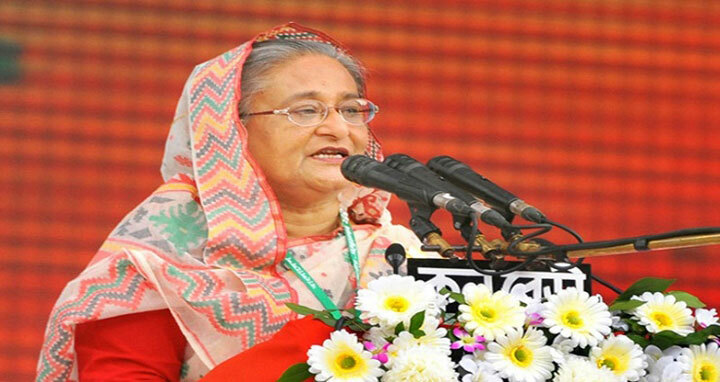 Sheikh Hasina was speaking at the 58th Convention of the Institution of Engineers, Bangladesh (IEB) at Khalishpur in Khulna. During the BNP-Jamaat regime, she said, Bangladesh was on top of the world corruption index for five consecutive years. Hasina said the government has taken steps so that the rule of law could be established. "We've taken proper steps so that people can get benefits of the rule of law," she said. The PM also said the government has taken various measures against militancy, terrorism and drugs. Recently Transparency International in its corruption perceptions index said Bangladesh has progressed by two positions and ranked 143rd out of 180 in the ascending order on the list of the most corrupt countries in the world in 2017. The country placed 17th on the descending list. The Berlin-based organization also revealed that Bangladesh scored 28 on scale of 0 to 100. According to the data, Bangladesh ranked 15th, 13th, 14th, 16th, and 13th in 2016, 2015, 2014, 2013, and 2012 respectively.